San Jose diving head long into youth movement. Things have not start well in the Matias Almeyda era. The coach known for turning around storied clubs has found a job that is sure to test his mettle as a head coach. San Jose has dropped it's first three games by a combined score of 9-2 and they have yet to score as goal after the other team scored one. When San Jose has conceded a goal they have pretty much folded up the tent and went home. 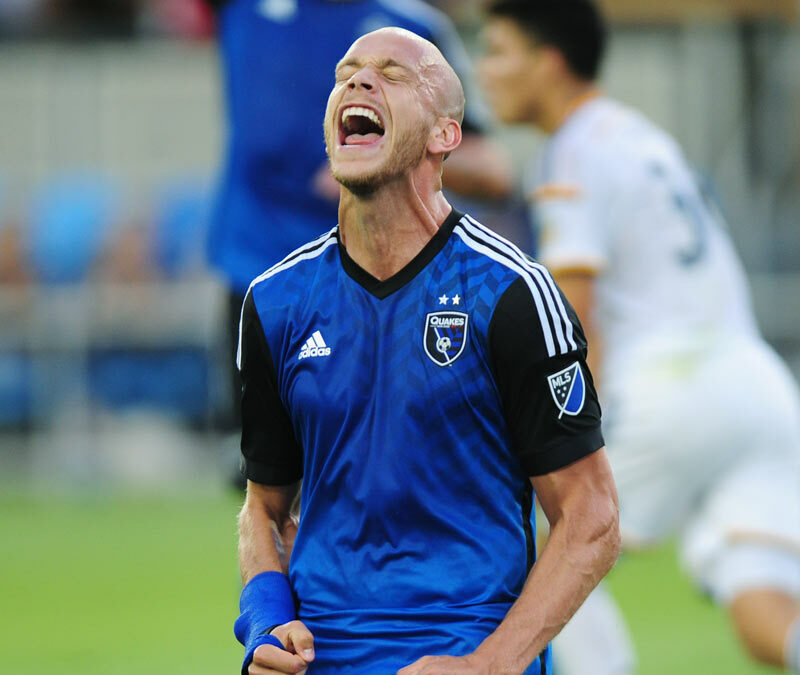 Magnus Eriksson gave the Quakes a early 11th-min lead in the 2019 season opener at home against Montreal. San Jose was behind 2-1 by halftime and that was that in a 2-1 loss. The Earthquakes were blanked 3-0 by Minnesota in week 2. Their first road game of the year started out well for San Jose. In New York to play the Red Bulls Argentine midfielder Cristian Espinoza scored his first career MLS goal in the 5th minute. The Quakes held the 1-0 lead at the half in the best soccer they have played this season to date. It was all New York in the second half. The Red Bulls scored 4 unanswered goals to keep San Jose winless. San Jose has three home games in a row coming up. Monterrey (Mexico) will play a friendly March 23rd followed by The Los Angeles Football Club 30th and Portland April 6th. That's five of their first six games at home. Five of San Jose first seven MLS games of new year are also at home. 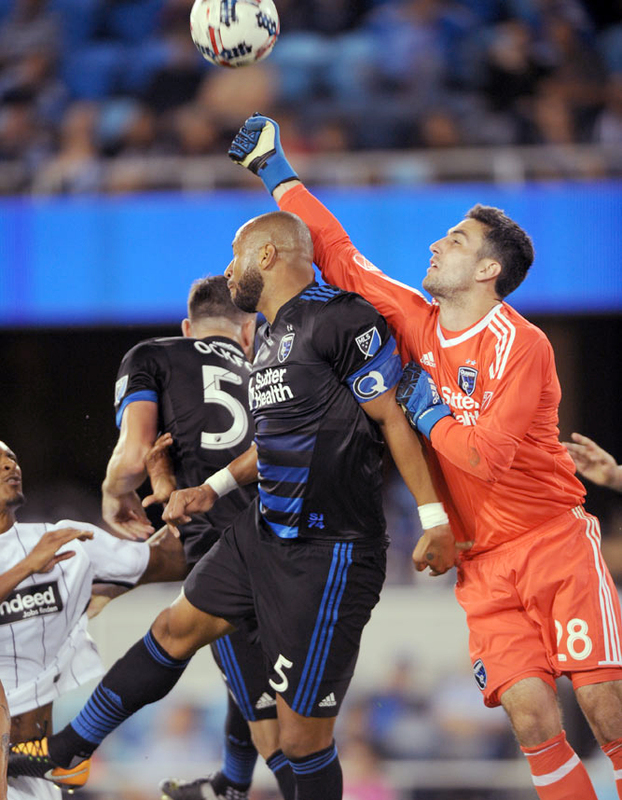 The Earthquakes need to take advantage of this stretch of home games to get a couple of wins. The San Jose Earthquakes swooped in and convinced Matias Almeyda, international player from Argentina and more important to the Quakes right now, a master coach that has turned a couple of the most beloved teams in the world around, to be their head coach. It took Almeyda just two years to turn Chivas Guadalajara (Mexico) into a League champion, something Chivas had not done in 20-years. 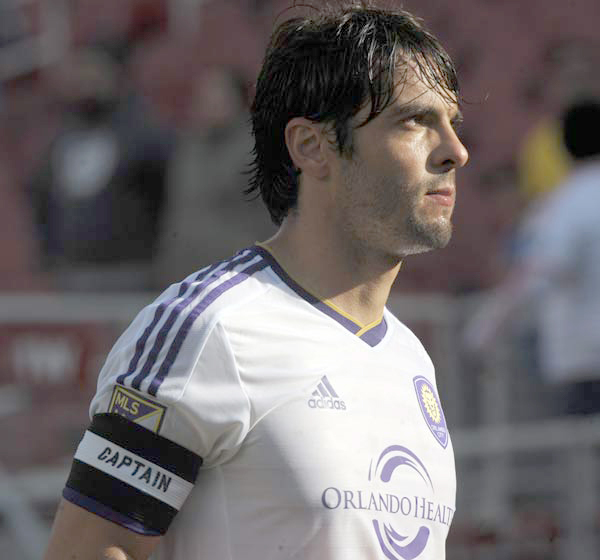 Matias ended his playing career in 2011 on a River Plate (Argentina) squad that played it's way out of Argentina's top division. Almeyda became the teams head coach and lead them back up to Argentina's top flight. In 2015 Chivas came calling and now the Earthquakes hope Matias can work his magic one more time. 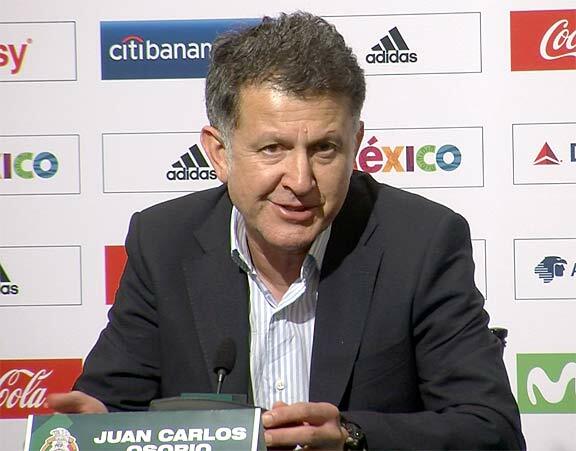 He will earn his money if Almeyda can steer San Jose out of the abyss and back into the MLS playoffs. He will have to shore up a defense that gave away soft goal after soft goal last season while injecting life into an offense left a lot to be desired. 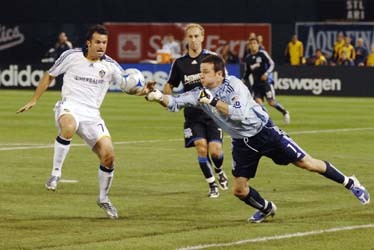 On the defense side the Quakes brought in young Peruvian defender Marcos Lopez and Daniel Vega, a goalie out of Argentina. Few saw this coming. After beating World Cup bound Panama 4-0 last week the US was poised at the doorstep of a spot in the World Cup going down next year in Russia. In the way of that was Trinidad and Tobago, last in the group but they were playing at home. Panama, needing a win to clinch their first World Cup ever was at home playing Costa Rica, a much tougher team and one that already has their ticket to the dance next year in their back pocket. First things first the US got off to the worst start possible, falling behind 2-0 on the road in front of a less then half filled stadium no less. This was no hotbed of soccer like the rest of the group. Then it happened. Bad luck. Down 1-0 Panama was gifted a goal to tie the score in what would end up 2-1 in Panama's favor. The US was down 2-1 at this point and that is all they needed to stay in the mix. One point which they would have gotten if they could have found the equalizer against Trinidad. Even though the US dominated the ball nobody could create enough to get a good scoring chance. They had good shots, but until the US gets a dominate goal scorer, one who can dribble thru a lot of people, show some flash, they will always be second class in the world of soccer. Good, but not good enough to really hang with the big boys. The US defense is good, they produce good goalies, but up front there is no threat. No home run hitter, somebody that can put a goal or two up on the board just like that. There is no way Team USA should have lost to Trinidad and Tobago. Christian Pulisic is good, but he is young and he needs help. The current stars of the USNMT have not gotten any better. It's is money time for the Earthquakes if they are going to make the postseason this year. Coming off a win that put them in fifth place, San Jose hosted Chicago in a mid week clash that had playoff implications written all over it. A win by San Jose would have kept them in 5th place out west. A win by Chicago and they clinched a playoff spot in the Eastern Conference. 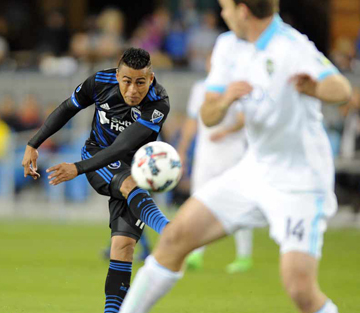 It was no contest and the Fire came away with an easy 4-1 victory at Avaya Stadium in San Jose. The Quakes got a quick little shot that went just wide by forward Chris Wondolowski early in the match before watching Chicago take over the game. 86 minutes later it was 4-0 Chi-Town when Wondo did find the back of the net. 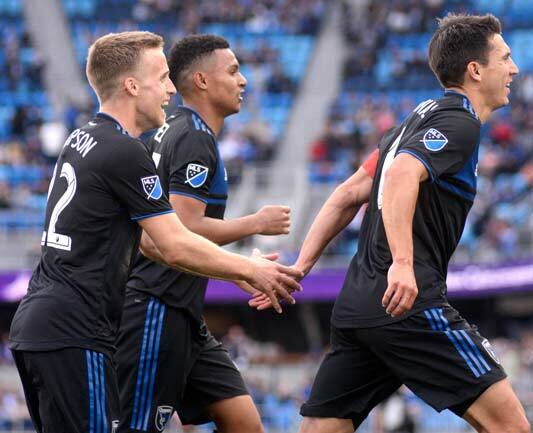 The loss broke a seven game unbeaten steak San Jose had at home and it dropped the Quakes back into 8th place in a six team race for the playoffs. San Jose still has hope with 2 of their last three games at home. They have 39pts and are two points behind 5th place Real Salt Lake. San Jose needs to win and they need help to jump over the three teams in front of them. They do still have hope. Next up for San Jose is a home game against Portland Saturday night. The Quakes close out the regular season Oct. 22nd when Minnesota makes their first ever appearance in San Jose. SAN JOSE, Calf. – The San Jose Earthquakes were not the best hosts, as they dominated Eintracht Frankfurt 4-1, in an International Friendly in the capital city of the Silicon Valley. Earthquakes’ defenseman, Victor Bernardez , got things underway with an early goal in the 13'. Five minutes later, the San Jose captain and forward, Chris Wondolowski, scored on a penalty kick (18’), to put the home team up 2-0 at the half. The German counterpart's did make a serious attempt to tie things up, but no legitimate goal came to fruition in the first 45+ minutes inside Avaya Stadium. After intermission, the Earthquakes’ good fortune continued, as Frankfurt scored an own goal in the 61' giving San Jose a seemingly insurmountable 3-0 advantage. Frankfurt. coming off a 1-1 draw at Seattle, played the second game in their preseason tour of the US. They take on the Crew in Columbus next week. The German team got off the “Goose Egg” when Danny Blum showed a bit of pride by finally placing a shot past the SJ goalie (83’) making it 4-1, Earthquakes. Like most teams, if you get pounded on the pitch the coach will make you run and that is what the Frankfurt players did well into the night after the match with San Jose. Ran laps around the field. The joys of training camp. With this global victory for the Bay Area soccer team, they are now 11-9-8 in international friendlies. It did not start out very well at all for San Jose. The Quakes, hosting the LA Galaxy at Stanford Stadium in front of over 50,000 soccer loving fans, were trying to get a win for their new head coach in his first MLS game. 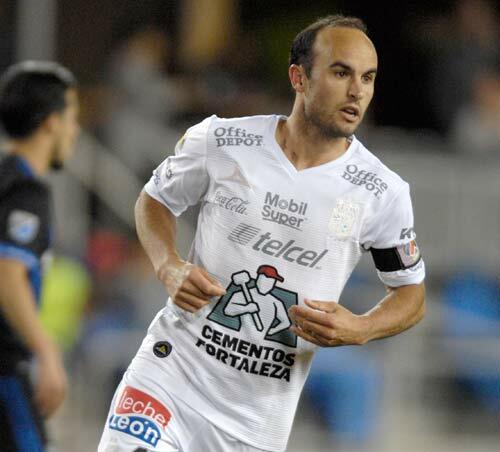 San Jose(7-6-5) got goals from Chris Wondolowski (73') and Shea Salinas (94') in their come from behind victory. The Galaxy got the ball rolling when defenseman Jelle Van Damme volleyed in a cross from just outside the 6-yard box 11-minutes into the match. The Quakes slowly started to take control of the match soon after that. It did not produce much. San Jose got off 15-shots in the game but few of them ever really made LA's goalie Clement Diop do much work. 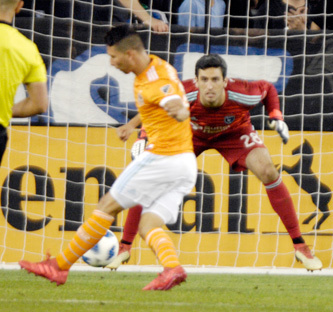 He had to only make two saves despite a lot of pressure from the Earthquakes offense. The Quakes goalie David Bingham came up with the saves of the game when he dove to stop two shots from close range in the 74' before assisting on Wondolowski's game tying goal. Bingham cleared the ball with a booming drop kick from the edge of his box that fell at the feet of Wondolowski in LA's area and he knew just what to do with it. Chris brought the ball back with his first touch before his shot was deflected by a Galaxy defender redirecting the ball over the head of Diop and into the back of the net. That goal woke up LA somewhat, but the Quakes kept the pressure on setting up Salinas who brought the house down with his goal deep into injury time. A little throw in near the LA goal found the foot of Danny Hoesen. Hoesen was faced with no less then five Galaxy defenders just outside the box, but nobody paid any attention to Salinas who made his run into the box and Hoesen found him with a little pass that Shea put home. Salinas, a second half sub for Cordell Cato (65'), made a winner out of Chris Leitch who was coaching in his second game for the Quakes, but just his first in the MLS. Two for two for coach Leitch and with the win over LA the Quakes moved into a tie for 3rd in the West with Portland (the Timbers own a 32-20 goals differential). San Jose beat the best road team in the MLS. LA (6-7-4) came into Stanford with a 5-2-1 record on the road in 2017. San Jose returns home to face the same Galaxy July 10th for the quarters of the Lamar Hunt US Cup before entertaining Eintracht Frankfurt (3rd in Germany's Bundesliga) July 14th. San Jose traveled to Minnesota to face a team that has given up a league high 24-goals so far this season. You can make it now 25-goals after the Quakes came away with a 1-0 win. Florian Jungwirth scored the game winner, in the 54 minute off a corner kick. It was the Quakes first road win in a season. 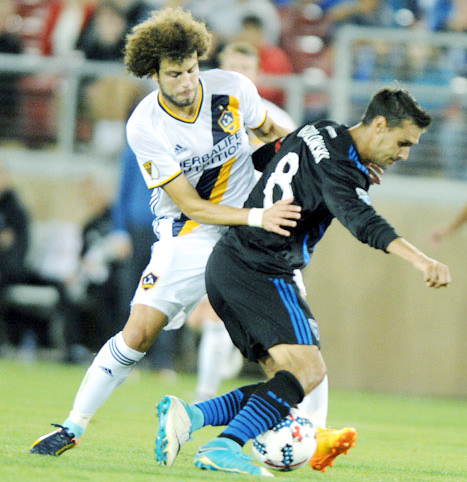 Chris Wondolowski chipped in with his 4th assists of the young season. That's good for second in the MLS at the moment. The 3pts the Earthquakes got in Minnesota put them 5th in the west with 12pts, 5 behind west leading Portland who comes thru San Jose May 6th to take on the Quakes. San JOse has only scored 9-goals this year. That's tied for second worse with three teams just ahead of bottom feeding LA Galaxy who have only scored 8 goals. Despite the scoreless first half, there was still plenty of action, with a few near goals and great saves by the two goalies. In the 17th minute FC Dallas goalie, Jesse Gonzalez, made an acrobatic save of a sure goal by the Earthquakes. 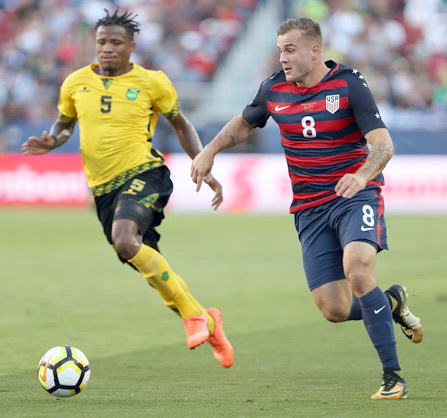 Dallas came close to opening the scoring in the 28th minute when FC Dallas’ striker, Christian Coleman, was point blank at the goal, but couldn't get the shot off. The end result was a 0-0 tie after 45 minutes and 60 seconds of stoppage time. FC Dallas broke the tie and scoring drought at 78’ (1-0), when midfielder Kelly Acosta scored from the middle of the box. San Jose once again waited until the last minute to get on the board. Earthquakes midfielder, Jahmir Hyka, footed the equalizer at 90’ (+4) to the delight of the South Bay faithful, ending the contest at 1-1. FC Dallas can blame the tie on themselves. More then the 4-minutes of injury time was added on due to a pair of yellow cards on FC Dallas for stalling during the 93rd minute. 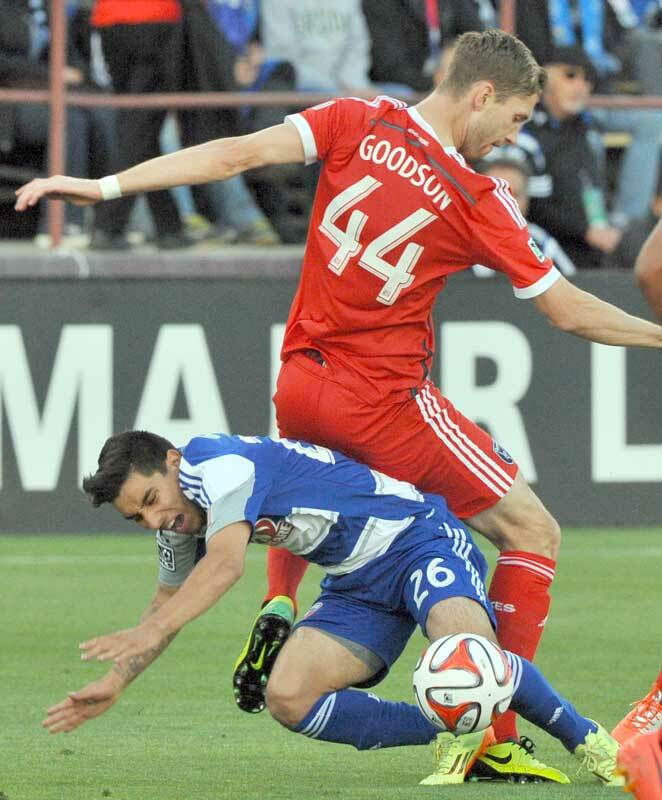 The Quakes used that extra minute to salvage a point out of the game. For a team that has not made the playoffs ion s few years they need all the points they can get. San Jose, Ca. 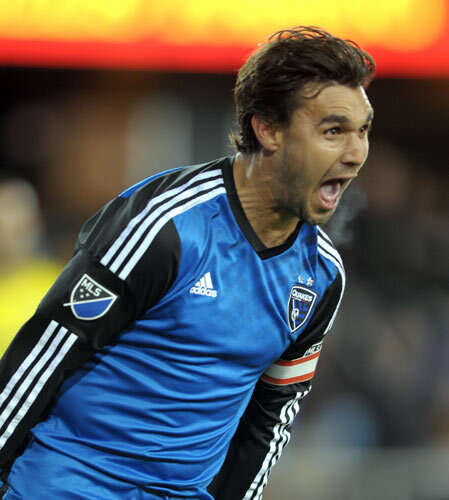 - The Earthquakes could use a win. Stuck in the middle of the muddle that is the MLS's Western Conference early in the 2017 season, San Jose played host to our neighbors from the North, the Seattle Sounders. San Jose stood before the game in the 4th spot in the Western Conference, but with 6 points to it’s name, the Quakes reside in a logjam with 7 other teams with points ranging from 4-to-6. Houston, Dallas and Portland are currently the class of the Conference, with 9 or more points each. This game could be a launching pad to greater things for San Jose and the Quakes fans seemed fired up pre game, while the Sounders fans remained quiet in their familiar perch on the East corner of the stadium. On a chilly night in early April, the game started out promising for the Earthquakes and their fans. In the opening 10 minutes, San Jose had multiple opportunities to score. Simon Dawkins was his usual energetic self, causing problems for the Seattle defense coming close on a couple of scoring chances. 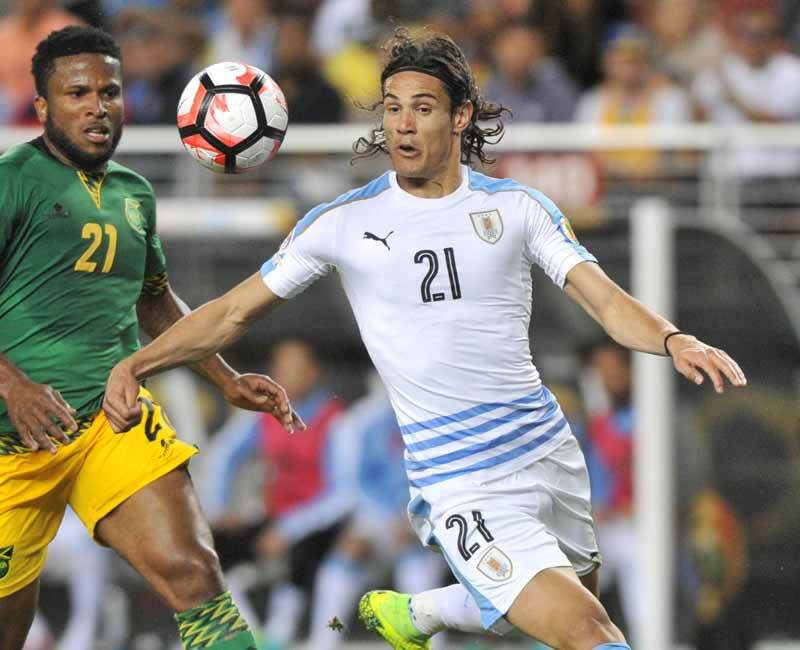 In a scoreless first half, the best chance for San Jose came from Marco Urena (native of sister city San Jose Costa Rica) in the 42nd minute. After a brief scramble in Sounders territory, just inside the box, Marco let loose a shot for the top right corner of the net which electrified the crowd, but was just turned away by the Seattle keeper. Intermission came with a 0-0 score. The second half started out much like the first for the Quakes. Chances, but frustrating results. Offside's penalties hurt San Jose on a couple different promising possessions, and the Sounders began to find their stride. Seattle continued to pound the net and finally came away with a backbreaking goal in the 84th minute by Nicolas Lodeiro. With just a few minutes remaining, the result was in doubt and San Jose fans slumped in their seats. It seemed like a page out of last season’s book, promising, but in the end, disappointing. Until Wondo displayed the magic in his feet that we all know he possesses. In the 88th minute, the Quakes subbed in fresh legs, Jahmir Hyka (Shea Salinas 81), and Simon Dawkins (Cordell Cato 66) . Wondo benefited with Cato helping to set up the game tying goal when he played a little ball onto the foot of Marco Urena in the 90th minute. Urena displayed his ball skills, letting loose a great cross which found the foot of Wondolowski, and Wondo connected with his 2nd goal of the season to salvage a tie. At Avaya though, it felt like a win. The crowd exploded. Quake fans were all smiles as they left the building. 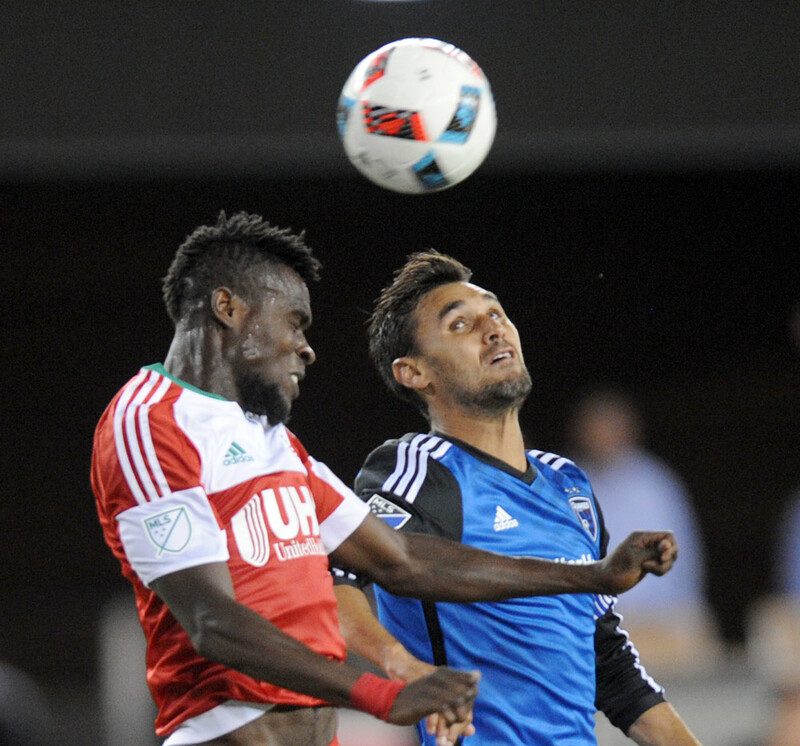 The Quakes needed a win, but in the end, a tie felt great. Dallas comes calling Friday night when they take on the Quakes at Avaya at 7:45pm. The Earthquakes could not get much offense going in their loss in New York City and it cost them as they fell 2-1 for the second week in a row on the road. San Jose got on the board early when they took advantage of some sloppy play in front of NYC's goal. Chris Wondolowski had a great chance to score early on but his shot in the 3rd minute was blocked by NYC's goalie Sam Johnson. The Quakes would score three minutes later on what was a gift goal by NYC's defense. Marco Urena settled down a rebound off a defender by way the NYC's goalie before slotting the ball past the keeper for a quick 1-0 lead. San Jose would get few chances after that. NYC FC got back on even terms with San Jose in the 10th minute when Jack Harrison had a quick answer the the Quakes goal finishing off a nifty little pass from David Villa with a goal. Thomas McNamara put home the game winner in the 67th minute for NYC FC sending the Quakes to their second loss in two road games this season. It is early in the season and the Earthquakes are already showing a pattern of sorts. 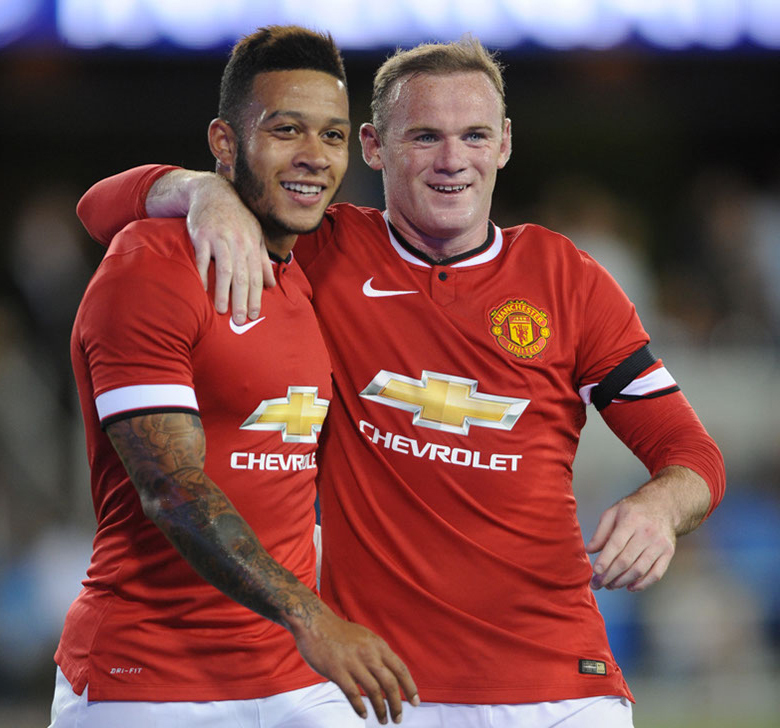 When they play at Avaya Stadium they score goals, 5 in two games. When they have gone on the road the goals have been hard to come by with just two in as many games. The loss dropped San Jose to 2-2 on the young season. 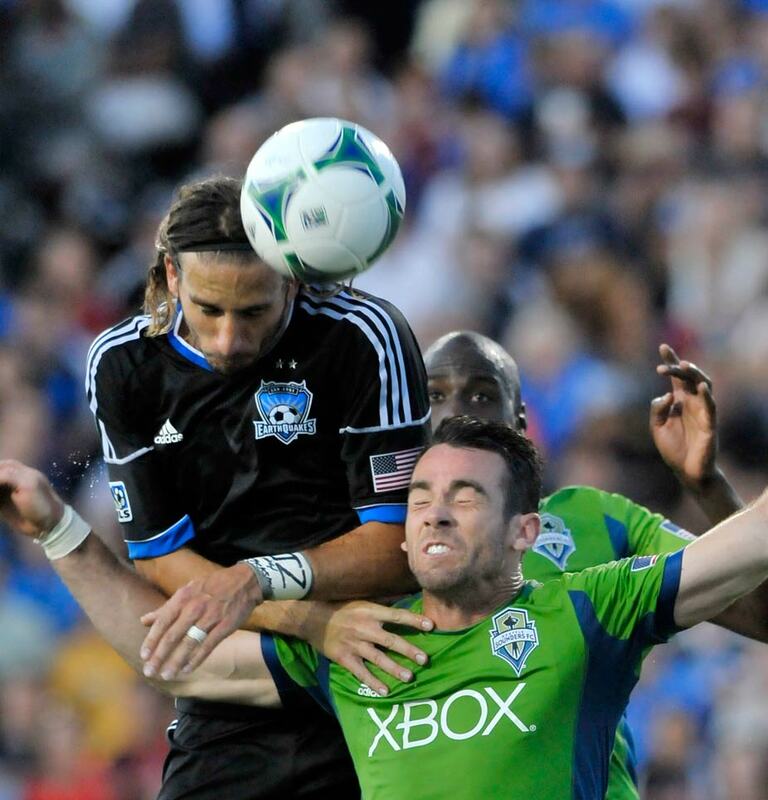 The Quakes return home to play the defending MLS Champion Seattle Sounders Saturday at 7:15 pm. SAN JOSE, Ca. - Club America (4-4-2 in Liga MX) took on Monarcas Morelia (4-3-3) on an overcast late afternoon at Avaya Stadium in San Jose, California. Club America gave it's many fans who came out just what they wanted to see. The scoring comprised of an athletic goal in the 30th minute by forward Silvio “Chino” Romero. 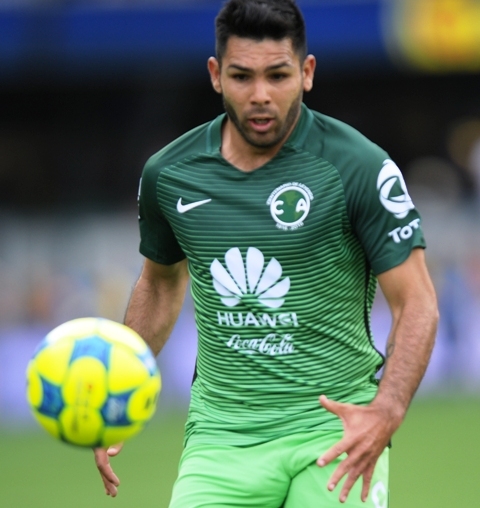 Chino chased down a ball in the box, made a nice little cut back to his left to beat a defender before blasting a shot across the front of the goal and into the back of Morelia's net. Forward Ricardo Marin doubled the lead when he scored on a header off a free kick from the foot of Ricardo Marin in the 79th minute. Both Mexican teams were very competitive, but not combative or on the verge of fighting. The fans took care of that before the match when supporters of both teams got into a a rock and bottle throwing contest at each other outside the stadium.